Body fat can be really difficult to reduce. Motivation and consistency is the key to reducing body fat. It depends on how over weight you are. Your life style and habits determine how difficult the challenge of reducing your body fat will be. 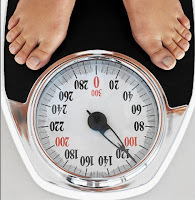 In certain cases without exercise it is almost impossible to reduce body fat. But when you have a control over your food cravings, then the weight loss challenge may not be as difficult for you as it may seem. You just need a little bit of guidance and motivation to burn that body fat and lose the weight which makes you feel miserable. If you really want to keep your hands off that roast turkey and double cheese burger on the kitchen counter then the best way is to keep your self so busy that you hardly get the time to think about food or even look at it. Drink a cup of hot water mixed with 1 tablespoon of fresh lemon juice every day in the morning before you have your breakfast. This burns body fat and cellulite while your stomach is not busy digesting. Having a cup of green tea with 1 teaspoon of lemon juice twice a day works wonders to reduce body fat and trim down your curves. Grapefruit diet is based on having grapefruit juice with or before every meal. This diet is extremely effective and reduces body fat within a month. Soak 1 teaspoon of fenugreek seeds in ¾ glass of water over night. Sieve it the next morning and drink this water empty stomach. This reduces body fat significantly, balances the menstrual cycle, reduces facial hair and smooths down the complexion. Soak ¼ teaspoon of carom seeds (bishop’s weed) in ¾ glass of water over night. Drink this water early morning with an empty stomach. This cuts down body fat and improves the digestive system speeding up the metabolism so that extra fat does not accumulate. Increase the use of fresh lemon in your diet to burn more calories and reduce body fat. After 1 hour of every meal it is ideal to have a cup of hot water. This stops fat from depositing in the form of cellulite. Reduce the intake of salt with food and water. When you have salt and drink liquids with it like when having chips and drinking water with them, it directly leads to water retention. This means you appear to be more fat and fat deposits in the form of cellulite. Use brown sugar whenever you need to sweeten foods. It has fewer calories. Eat foods rich in fiber such as fruits instead of fruit juices and uncooked green vegetables without dressings. High fiber foods burn calories when the body digests them. The more you drink water the more you urinate. This flushes out calories from your body and helps to reduce fat. Always prefer water to beverages when you are thirsty. But remember that you should never drink water during meals. The more Vitamin C you take the better it is for reducing body fat. Citrus fruits like lemon, oranges, grapefruit and tangerines are rich sources of vitamin C and help to cut down body fat significantly. Pectin is a natural chemical found in apples and berries, which reduces the fat absorption capacity within cells. If you eat more apples and berries, it will cut down fat deposits tremendously. Increasing the use of garlic and garlic oil reduces fat deposits and burns calories down. Its an ideal practice to ensure a gap of at least 3 hours between a meal and going to bed at night. I reduced 30 Kg off my body within a year after I had my baby without even noticing that I was putting extra effort in it. I just followed these tips and lost all the excessive weight and never felt that I was burdening or depriving myself of my cravings. It can be simple and easy depending on how consistent you are in following fat reduction remedies.